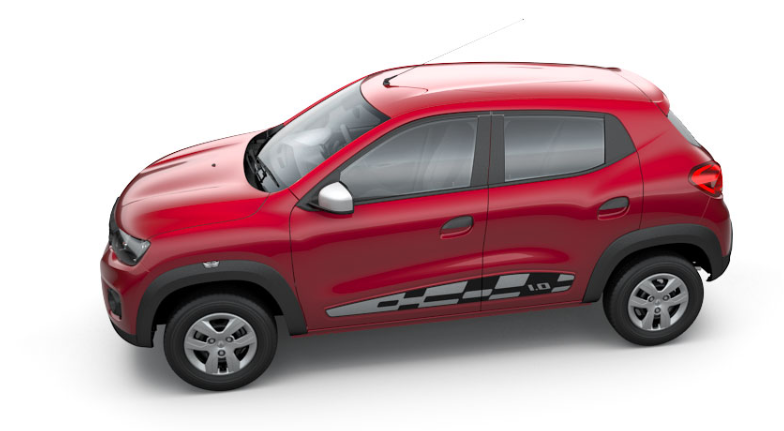 Renault India today introduced a bigger capacity engined Kwid with a starting price of Rs. 3.82 lakh ex-showroom Delhi. The new Kwid 1.0 as it is called is powered by a more powerful 999cc 3 cylinder petrol engine with power output of 68 Ps and torque of 91 Nm. The old 799 cc petrol motor had figures of 54 Ps and 72 Nm. The Kwid 1.0 is only available in RxT and RxT (O) trims and costs Rs. 22,000 more than Kwid 0.8L RxT trim. The bigger engine however brings the fuel efficiency low with the Kwid 1.0 delivering 23.01 Km for a liter of petrol. The Kwid 1.0 gets black and white chequered decal with ‘1.0’ lettering on the side profile. An all new gloss grey ORVM looks fantastic on the car. Currently the Kwid 1.0 is mated to a 5 speed manual transmission but an AMT version is around the corner to be launched soon.